Isuzu radiators go through a lot when you’re on the job. That’s why CSF developed our world-leading OEM replacement intercoolers, condensers, and radiators to keep your truck cool under pressure. Our full line includes both gasoline and diesel applications of various models including the NPR, NPR-HD, NQR, and NRR. Think about everything your truck goes through in a day. From rain to snow, cross-city to cross-country. When your business relies on shipping or logistics, downtime is unacceptable. 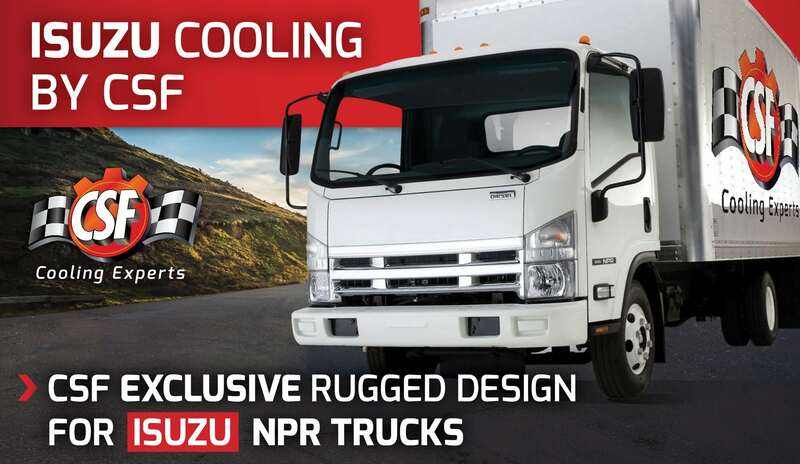 CSF crafted Isuzu radiators, condensers, and intercoolers specifically for heavy duty business applications to keep your fleet running cooler, longer. How does CSF do it? By utilizing our proprietary technology with top-of-the-line materials we are able to build a better cooling system. Even our pressure caps are built to withstand anything you can throw at us! We all know the only thing more precious than your cargo is your time. CSF Isuzu radiators are known worldwide for their durability, reliability, and quality of materials. For over sixty years, the cooling experts at CSF help companies like yours make longer hauls. 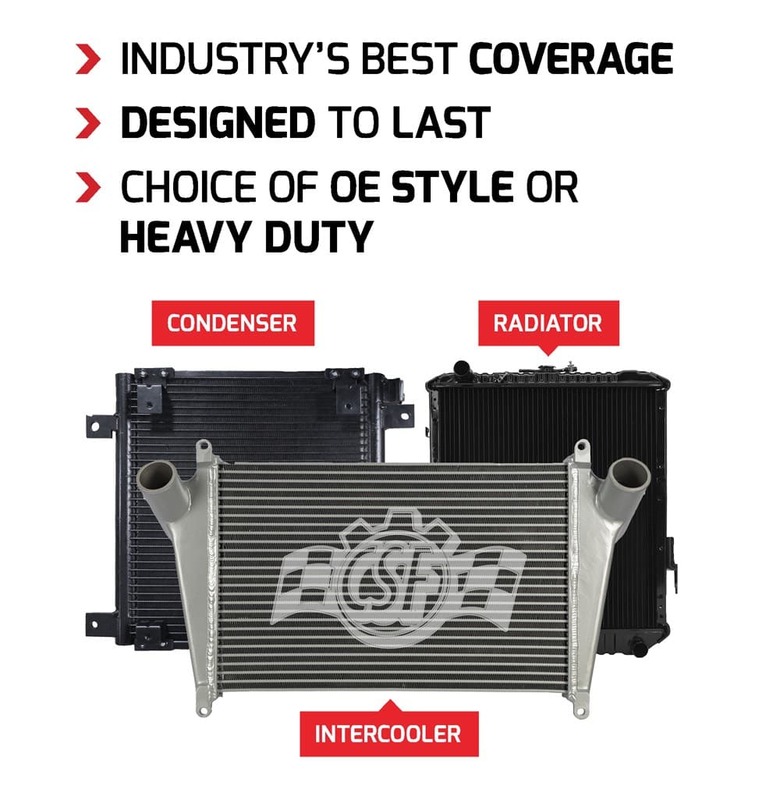 When you’re ready to take your Isuzu radiator, condenser, or intercooler to the next level, reach out to our select dealers and distributors to supply your company with all the right parts for your next opportunity.